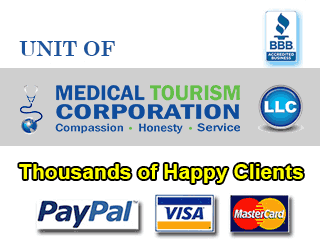 Many tourists combine healthcare and holiday by going to Costa Rica for their medical and dental needs. The impressive quality of their dental care for low prices is a huge reason why dental tourists go to this Central American country for dental work. Dental crowns in Costa Rica, for instance, can be available for only 40% their price in the US or Canada. This is a huge difference, and considering that their healthcare systems are among the best in the world, it is of no surprise that dental tourism in Costa Rica is on the rise as Americans and Canadians are taking the few hours of plane travel to Costa Rica for their dental needs. A dental crown is a replacement tooth for people with missing or damaged ones. This is usually recommended in cases when dental veneers have been ruled out. Dental crowns are great for people with missing or heavily damaged teeth due to injury, trauma, decay, or compromised teeth because of restorative dental work to its neighboring teeth. The porcelain crowns are closest to the natural look of teeth, but metal crowns last longer. The development of porcelain-fused-to-metal crowns helpfully combined these two characteristics so that people do not have to choose between two extreme decisions weighing on aesthetics and durability. Low costing dental procedures in Costa Rica do not mean low quality. Their healthcare facilities are state-of-the-art; medical and dental professionals are highly-skilled and many are trained abroad. As with other materials used in other services, dental crowns in Costa Rica are of the same quality and brands as those used in the west. Costa Rica is a heaven for people who want to spend some holiday time in beautiful tropical surroundings. The beaches and wildlife are two of the most popular draws for tourists. Research on the qualifications of the dentist and clinic you will be working with. There is plenty of information that can be found online. The first-rate medical tourism companies post the credentials of the dentists in Costa Rica they are networked to, so consider this as a good way to find the best. Medical tourism companies would be glad to arrange your trip so that the itinerary accommodates your tourist spot trips too. Having a procedure like the installation of dental crowns in Costa Rica will undoubtedly give you some time to do this, so coordinate with them so you can have fun during your dental trip as well.